Our new podcast series tells the story of the bond between Ireland and Biafra. It’s a tale of ordinary people doing extraordinary things to help those starving behind a military blockade — from secret flights, to dodging bombs, to overcoming press censorship. It’s the story of how the people of Ireland were moved to help save the lives of people they’d never met, in a country thousands of miles away. Welcome to Concern’s first ever podcast series. You can listen and download from our dedicated podcast page, in iTunes, Spotify, and Stitcher or here via Soundcloud. As images of people starving to death were broadcast on television and printed in newspapers, this was the first time since Ireland’s own famine that Irish people saw what starvation really looked like and their response to this was nothing short of phenomenal. Part of a sketch by Tony O’Moore, crew member of the M.V Columcille. 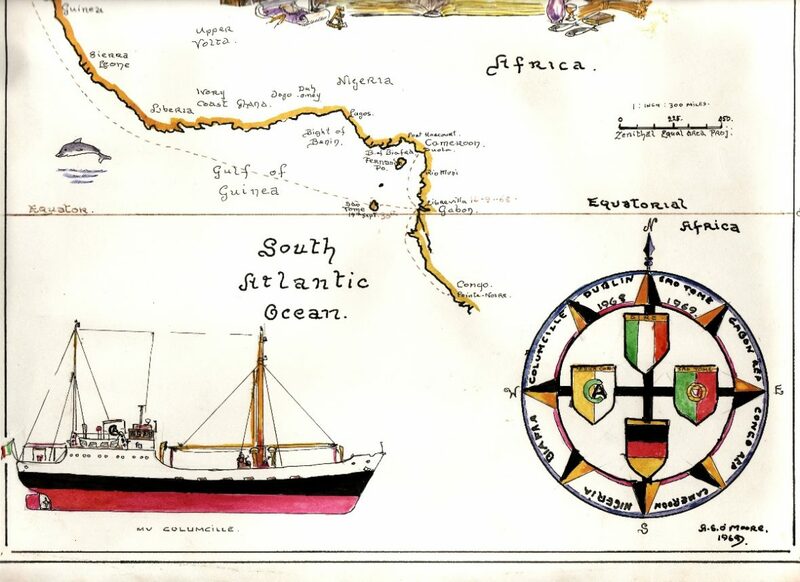 The sketch charts the journey of the ship from Dublin to the west coast of Africa, delivering aid from Ireland to the people of Biafra. As I listened to their stories, it struck me that the themes that emerged are as relevant today as they were fifty years ago. Starvation is still used as a weapon of war. Conflict still creates food crises and brought two of Concern’s program countries to the brink of famine in 2017. People around the world still put their lives at risk to deliver aid to people in crisis. And the people of Ireland are still overwhelmingly generous in response to suffering around the globe. 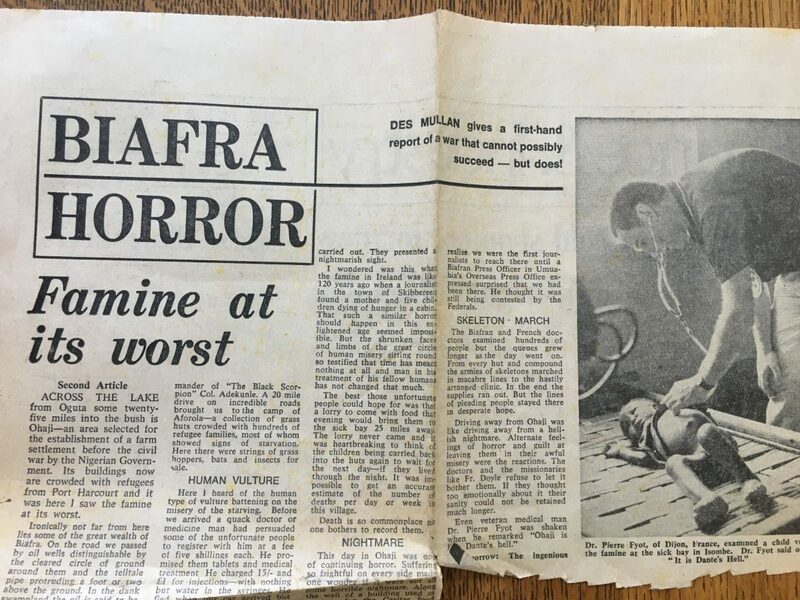 What happened in Biafra was devastating. How Ireland reacted was truly inspiring. This series tells the story of the remarkable bond that developed between the two nations. This series is a Concern Worldwide production. It was researched and presented by Clare Ahern and produced by Colette Kinsella for Red Hare Media.